In addition to MedX spinal rehabilitation, our clinic provides physical therapy evaluations and treatment of extremity dysfunction including acute, chronic, and post-surgical conditions. Our MedX program is specifically designed for spine pain syndromes. Our area of expertise is treatment of neck and back disorders. We are able to isolate and test joint systems to find range of motion, strength, and endurance deficiencies. Our MedX program often succeeds even when other conservative physical therapy programs have failed. 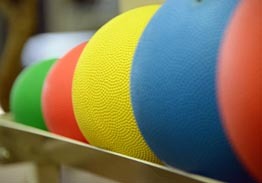 Other interventions including manual therapy techniques, Kinesiotaping, orthopedic bracing, progressive resistance exercises, functional training and therapeutic modalities are incorporated into our complete program. We also offer chiropractic services, acupuncture and massage therapy on site. Weakness in the muscles surrounding the spine is one of the most common contributing factors in neck and back pain. Damaged or weak spinal extensors are the "weak link" in the musculoskeletal system due to being constantly over-powered by the larger, stronger surrounding musculature. The weak spinal extensors must be isolated for effective and proper strengthening. No other system of rehabilitation has the capability to isolate these muscle groups in the manner in which MedX technology can. Once these tissues have been strengthened, they will contribute at a normal ratio, which can be maintained by an independent exercise program. 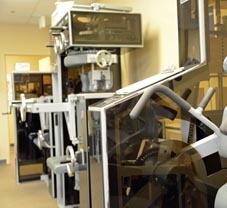 Optima's MedX employs isometric testing techniques (muscular contraction against a resistance in which the length of the muscle remains the same), rather than the widely-used isokinetic methods (muscular contraction in which tension is developed by the muscle while shortening at a constant speed). Years of study and evaluation have proven isometric testing superior. In fact, it is the most effective and safest way to measure peak muscle torque of injured spinal tissues. MedX technology is also used to provide the most specific resistance-based exercise program for rehabilitation of neck and back injuries of all types. Once a spine region has been tested, rehabilitation begins with isotonic methods to dynamically establish stabilization while in isolation. This is done in conjunction with aerobic, flexibility, ancillary progressive resistance, and standard physical therapy procedures.